Superior design conserves energy providing higher returns on investment. Attractive appearance makes it ideal for hotels, restaurants and outdoors sales. The Flamboyant Series represents Rotisol’s latest improvements in energy-efficiency. Choice of 3 widths with 4, 6 or 8 spits. Available in natural or LP gas, Flamboyant offers infrared heat for every spit with easily replaceable ceramic bricks. 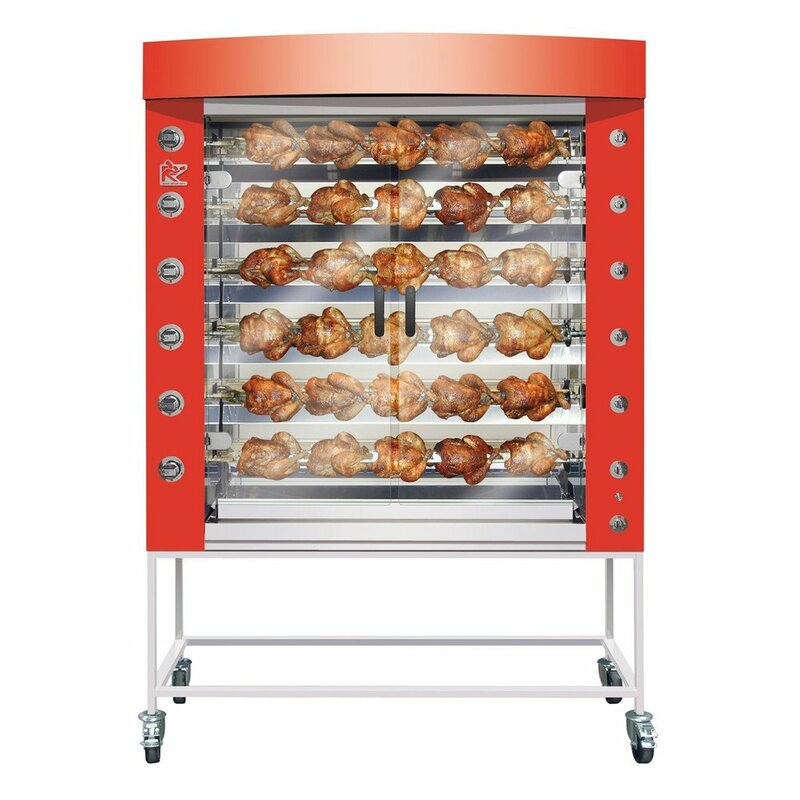 Rotisol’s FauxFlame Rotisserie Ovens feature compact size, ease of handling for mobile uses, and affordability. Choice of 3 widths with 4, 6 or 8 spits in the narrower width.